On Saturday I had a great morning out going to garage sales. I’ve had a few things on my “want but could maybe call it a need to justify it” list and I pretty much crossed everything off in one hit! 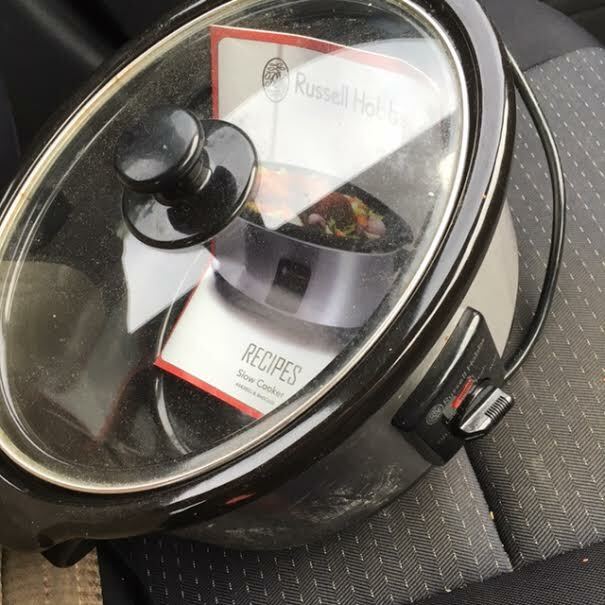 Number one was a slow cooker – I scored this Russell Hobbs slow cooker for $3 at a garage sale. They didn’t have prices on anything, so I saw it & asked. Bar-gain! It’s only a small one, which is sort of ok seeing as there are only two of us in the household, but I tend to cook big meals and save leftovers for work lunches or freeze them, so we’ll see how it goes long term for how I cook. I used it straight away on some rice – I cannot cook rice at all so I was hoping this would save me! I’ve cooked it and frozen it for using in stir-fry dinners so we’ll see how it goes. It was a big gluggy looking but also that’s better than most of the time when I have to throw it out because I’ve broken it or destroyed it somehow. We recently rearranged our bedroom – the bed is no longer against the wall. So we have space now for two bedside tables. We had been looking around a bit but they’re a surprisingly expensive thing for a not all that interesting piece of furniture. 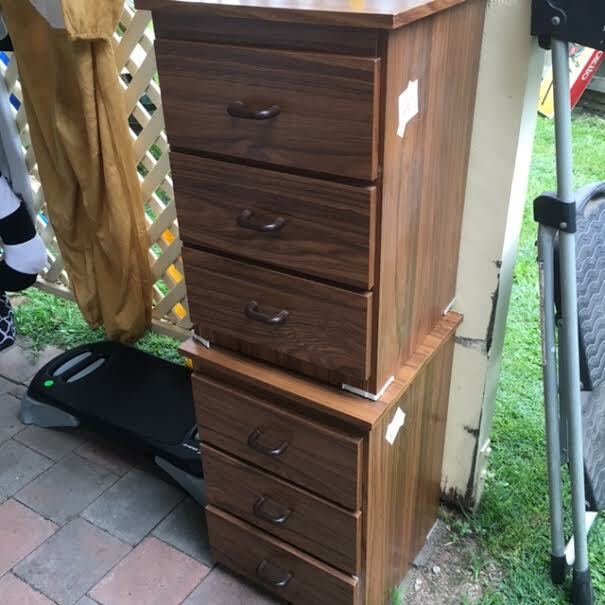 We ended up getting these for $5 each – they’re a bit old fashioned looking but frankly I’ll take $10 and slightly old rather than the ridiculously expensive and not that much nicer looking ones I had seen so far everywhere. 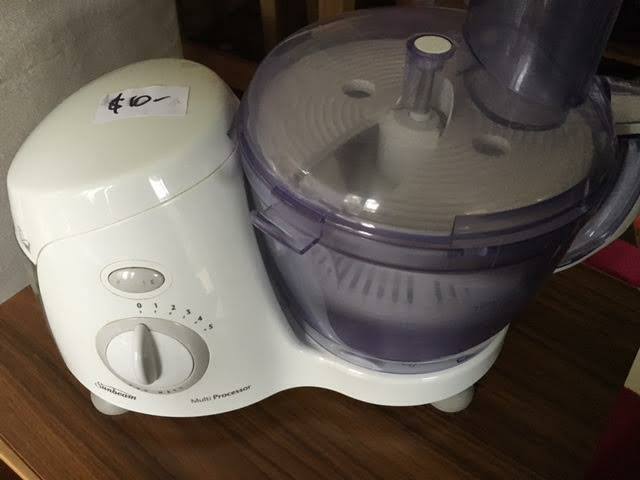 Do you know how hard it is to buy a second hand food processor? Sure, there are juicers galore (smoothie diet fads, anyone?) but food processors – nope. I bought this one for $10 at the same garage sale as the bedside tables. Have yet to use it, but that’s mostly because I’ve never used one so I’ll need to find the manual online to see what blades get used for what. I’ve been wanting one to make things like pesto at home. 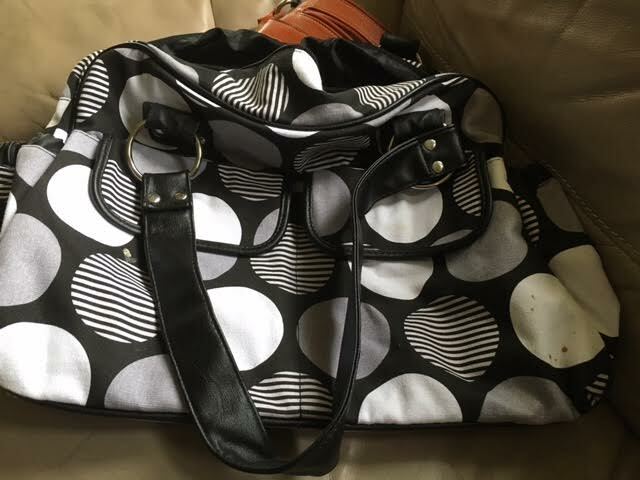 I think this one is a nappy bag – but I’ve sort of been looking for one for ages. It bugs me when I buy a large tote bag in a retail store and they can’t actually carry things without breaking. I have a long commute so I usually have breakfast, lunch, a waterbottle, sometimes a can of softdrink, a notepad, portable charger and wallet/keys etc in my bag every day. Tote bags in retail fashion stores seem to not be designed to actually carry anything, and it really irritates me (much the same as fake pockets in women’s clothing – what is it with not allowing women to have stuff on them!?). That is why I’ve been looking for a nappy bag – I’m operating under the assumption that nappy bags are designed to actually hold things and be useful. However, there seems to be a large price tag attached to things that carry children’s poop, even second hand, so it was a definite garage sale find! This was $4. 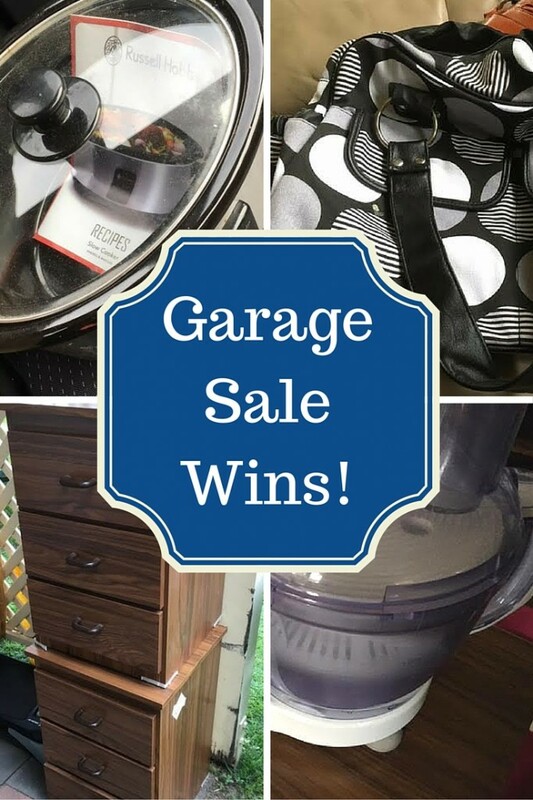 Share a garage sale (or op shop or general second hand) win you’ve had recently! What’s on your want/need list right now? SCORE! What bargains! I LOVE my slow cooker and even though it may seem small it’ll be great and cook heaps. And you could turn your cheapy bedside tables into a DIY project, lick of paint and some new handles and they’ll look fantastic! Awesome finds there Ness – well done! It was sheer luck but I’ll take it! Awesome bargains! I love bargains but I actually haven’t been to a garage sale. I tend to look on Gumtree or Vinnies. I just bought two beautiful wooden desks on Friday via Gumtree for $100. Gumtree is excellent for bargains. Great bargains! The other thing I hate about bedroom furniture – especially the bedside tables – that are available at the moment, is they don’t actually have any storage. You might get one or two drawers if you’re lucky, otherwise it’s shelves and “display”, not very practical at all! Yes, we’ve never had bedside tables with storage. Which is excellent as we don’t have much storage in our house at all. Hey, those are all great bargains! I bought a ‘wicked sista’ bag six years ago for 35 bucks to use as a nappy bag and it’s still going strong. Best investment I have ever bought in regards to tote bags.